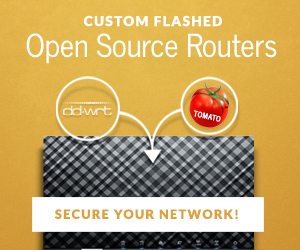 You Are Here: Home → DD-WRT vs Tomato vs OpenWRT: Best Firmware For Your Router? DD-WRT vs Tomato vs OpenWRT: Best Firmware For Your Router? Bored of the menu system that was bundled with your Netgear router? Want to do configure more than what your Asus router menu will let you? Do you want more features for your Linksys? Well then installing a third party firmware might just be the answer for you. What is 3rd Party Router Firmware? Scared To Upgrade Yourself? Buy A Preconfigured Flashed Router! What is the Best DD-WRT Router? Routers traditionally come packed with firmware that is accessible and configured in GUI format. Often, the amount the user can configure is rather limited, and monitoring tools can be few and far between…or even non-existent! Third party firmware, and we’re going to stick to the big 3 here: DD-WRT, OpenWRT and Tomato, can revolutionize your router. By ‘flashing’ firmware onto your router, you can have more options to play with and make little tweaks that perhaps you couldn’t previously. Basically, you start off with your existing ‘stock’ firmware (stock firmware refers to the firmware shipped with your router). If your router is compatible, it’s possible to flash 3rd party firmware onto the router, replacing the stock version. Be careful though! If you pick the wrong firmware, or do not upgrade correctly, you risk ‘bricking’ your router. ‘Bricking’ is another way of saying ‘trashing’. Your router will be inoperable…and no-one wants that! It is possible to buy routers with pre-installed firmware, if you prefer. More on this below. DD-WRT is the most popular firmware of the three. Probably because it is relatively easy to install and configure. It also has a lot of features for most people out there. Only the biggest of tech-geeks out there would feel there needs to be more! Ok, so it doesn’t install on as many different router models as OpenWRT (we’ll come to that in a minute), but the aforementioned benefits most likely outweigh this for most router owners. Features include a pretty comprehensive Quality of Service interface, Advanced wireless settings, and VPN. Support is great too! The DD-WRT forums is a den for a lot of very knowledgeable folk. So, if you ever have any questions, it’s a good place to hang out. Tomato firmware is probably the easiest to use of the bunch. The GUI menu system is relatively intuitive and lets the user get their hands dirty to a certain extent. But perhaps not as much as its counterparts. Yes, there are options to configure QoS and VPN. There’s also advanced firewall features and the ability to tweak access on a user level. A big plus is the monitoring tool. Tomato firmware actually monitors in real-time which could swing it for some. If this all sounds good to you, then hopefully Tomato can be installed on your router! One downside is that Tomato is not compatible with as many routers as either OpenWRT or DDWRT. Of course, if you are actually buying a new router for your install, this may not be as much of a problem. But if you are looking to upgrade a router you already have, you have more chance of being out of luck than the other two options as far as compatibility is concerned. There are multiple Tomato builds available (known as ‘forks'), including ‘Shibby’ and ‘AdvancedTomato’. OpenWRT is the original of the three and is once again based on Linux. It was a command line only deal, but with LuCI or Gargoyle, there is now thankfully a GUI available (but may not work . However, OpenWRT is arguably the trickiest of the 3 to get up and running. Most importantly, you need to make sure you download the correct image file to install. There are plenty of tutorials available out there (including You Tube videos) if you really want to get your hands dirty with installation and setting up! OpenWRT also has, by far, the largest pool of routers to choose from for installation. Once again, Open WRT also has features that include QoS and advanced VPN functionality. If there is a reason why OpenWRT is not the most popular of the 3, it’s because it is just so damn hard to get running (if you’re a novice). Command line scares a lot of potential users off unfortunately. This is of course, totally understandable. However, with the addition of the GUI interface, setup and configuration has become a lot easier. OpenWRT's popularity will hopefully increase. If you are worried about bricking the router, or scared that it’s not going to work out, don’t fret. There is the option to buy a router with pre-installed firmware. Flashrouters, for example, stock new routers that have been successfully flashed and tested. Not only that, but you can buy add-ons, including VPN integration and tech support to help you set up your router to fit your needs. Now this means paying a little more than buying a router with stock firmware and upgrading yourself. And, the warranty spans a shorter time. But, it takes the stress of screwing up your router if you happen to make a mistake. Or if your router just decides to brick anyway! It’s hard to pick one, but a really good all-rounder is what we went for. The R7000 is the router that should be recommended at the bottom supported by Tomato Shibby & AdvancedTomato. The Netgear Nighthawk R7000 was the first router to be released in the Nighthawk series of ‘high-end’ routers. It has been a very popular release, and as such DD-WRT, OpenWRT and Tomato (Shibby & Advanced Tomato at least) all have firmware for it. It’s not the latest and greatest router anymore, but it still packs a pretty powerful punch now, even with its stock firmware. Flashing any one of these 3 bad boys onto it makes it even better. Or if you just want to buy the router, and flash it yourself, check it out at Amazon. Comment below if you are thinking about flashing your router, or if you have already taken the plunge! or alternatively, feel free to ask any questions! Yes, you are correct – thanks for letting us know. The writer missed that. Amended. OpenVPN Firmware should read “OpenWRT Firmware” right? Wow – all I can say is ‘sorry’! Can’t believe we missed that. It’s the brain in auto-pilot I’m afraid. We have fixed it up. Thank you for letting us know! Is it typically easy to revert back to the original firmware (or whatever is at that point available for download from the original manufacturer)? I’m not sure ‘easy’ is the right word. That goes for stock firmware to DD-WRT/Tomato as well! It is relatively straight forward, but it depends how competent you are technically. I strongly recommend Googling the model number of your router and ‘DD-WRT to factory firmware’. That should hopefully bring up the exact process for your router. That’s a pretty specific request. Have you contacted Linksys support? dd-wrt tends to work with manufacturers and have excellent hardware support. That being said, advanced tomato is fairly easy; tough I have never used the USB over IP option on it. In either case, you will likely need to setup a USB drive formatted in fashion of said OS. I don’t recommend JFFS (it wears out the memory over time and can lead to buffer overflows as well; aka security vulnerability. That’s interesting. Thanks for letting us know! I know it says that DD-WRT supports the R7000, but I have yet to find a firmware for it. R7000. You can install it, alright, but there is no wireless support. is it true that broadcom processors are not fully supported? that FOSS is not available and therefore some performance features are not available in non-stock firmware? Thanks for letting us know, Alexander. I just tried openwrt on an r7000, and it flashes ok and runs ok, but there is no wireless support at all. I don’t understand why r7000 is on openwrt’s list of supported routers when it has no wireless support.